Located within a stone's throw away from the heart of Orchard Road, residents at this development will have ample opportunities for shopping, dining and entertainment. This luxurious freehold development is located just outside the Central Business District (CBD) at the junction of Cairnhill Road and Cairnhill Circle. The uniquely curved building profile of the development, coupled with its full glass 'curtain' wall, makes it look like a modern lighthouse - a refreshing beacon of modern architecture that complements nicely with an existing row of terraced houses which will be conserved as part of the exclusive development. Located just seconds away from the Central Expressway which links motorists to other major expressways around Singapore within minutes, The Light at Cairnhill site provides residents excellent accessibility to other parts of the island. Furthermore, residents may choose to take a mere 5-minute stroll down to the Orchard Road where public transport services are aplenty. The Light at Cairnhill, a 20-storey development, comprise 118 units of largely 1,300 sq ft 2-bedroom to 2,000 sq ft 4-bedroom units. While all the bedrooms and living areas offer a full, uninterrupted, breathtaking view of the surrounding area, the Zen-like landscaping with its water features will provide residents with a calm and relaxing environment after a hard day's work in the office. 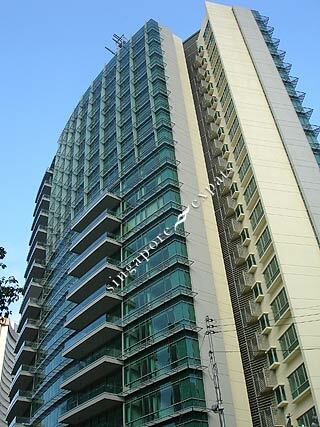 Very beautiful property located at Singapore prime district, Orchard Road.